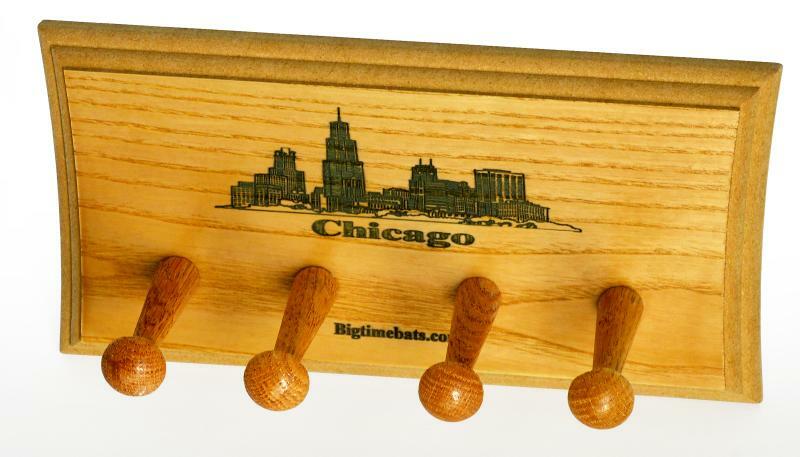 This is a custom Two Bat Display Rack designed especially for Chicago baseball fans. 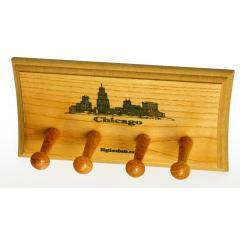 The NEW Chicago "Skyline" 2 Bat Display Rack is the perfect complement to your collectible bats. This new 2 Bat Display Rack is laser engraved and comes with the hardware necessary to hang it on your wall for displaying your favorite Championship Season Commemorative Bats. Get your display rack today. While the Cubs put the finishing touches on a 100+ win season and eye the postseason, Chicago fans from both sides of town will love this display rack. Credit cards are charged for the full price immediately upon taking your order. We will confirm your order by Email. Please allow 4 to 6 weeks for delivery.